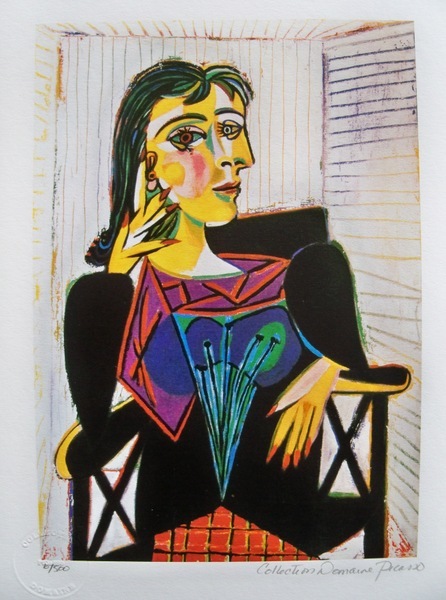 This is a PABLO PICASSO (ESTATE COLLECTION DOMAINE) (1881-1973) giclee titled "DORA MAAR". 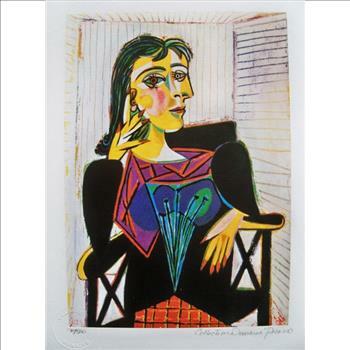 This piece is hand pencil signed on the lower right as 'Collection Domaine Picasso' and has an embossed seal stamped by the Picasso Estate. Paper Measures 12" x 9". Image measures 10" x 7". Made on thick quality archival paper.